Traditionally, the notion of online identity is that it must be protected and safeguarded by the individual it belongs to. As users’ Internet habits evolve, however, we’re seeing a greater shift in online sharing: consumers are posting personal photographs, life event updates, and more across their social channels. This move towards a more connected, open social web reflects how consumers and businesses should interact in a landscape that encourages and facilities the sharing of users’ information in a safe, valuable way. 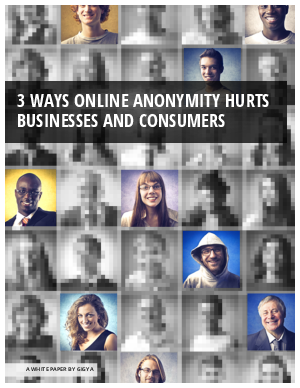 We'll also provide tips on how businesses can circumvent poor experiences by leveraging their customers' online identities in a responsible, mutually beneficial way.